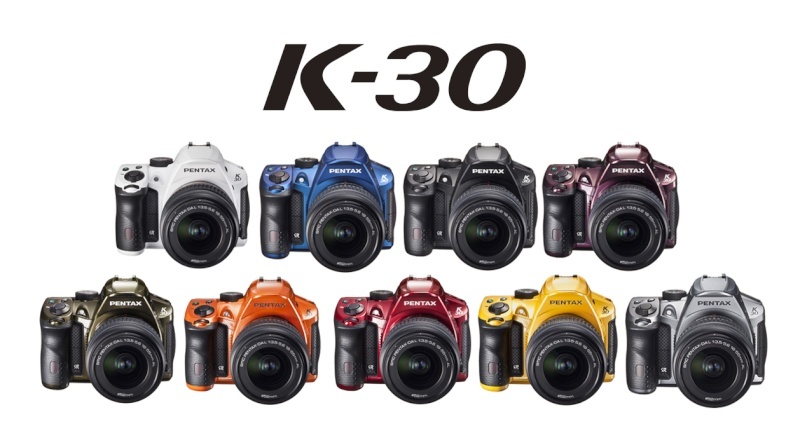 Pentax has announced a wide range of new colors options for its K-30 weather-sealed mid-level DSLR. Available in either a shiny 'Crystal' or matte 'Silky' finish, the 16MP DSLR now comes in dramatic tones like orange, yellow and blue. The cameras are available for pre-order at a retail price of $799.95, including the 18-55 kit lens. See below for a complete list of available color options.